Bernie Heller Calabasas bail bonds covers all of Calabasas, CA. All of our Calabasas bail agents are all licensed by the California Department of Insurance. All of our agents have over 10 years of bail bonds experience with some of them having over 20 years of experience. It's good to have an experienced bail bonds company. More so, a bail bonds company that is experienced in the area of need, namely, Calabasas, CA. Our bail bonds agents have been serving and posting bail bonds at the Lost Hills Jail for many years now and are standing by to help you in any way possible. Its important to find a good bail bonds company to work with and Bernie Heller Calabasas Bail Bonds is very reputable. Our record with the Better Business Bureau is outstanding. We are members of California Bail Agents Association, National Notary Association and of course all of our agents are licensed by the California Department of Insurance. 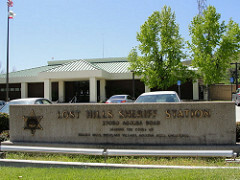 The Calabasas Jail area is near downtown Calabasas. Here you will find the Calabasas City Hall across the street and a few other Calabasas city offices. If you believe that your loved one has been booked and resides in this jail, call us and we can help you get them out quickly.Spending time in any jail is not the best place to be which is why so many people call a bail bonds company. You can always call us to find an inmate so that we can move forward quickly with the bail bond process. You can always feel safe and secure with Bernie Heller Calabasas Bail Bonds. We keep the entire bail bond process confidential. Call now, our friendly local Calabasas Bail Bonds Agents are standing by 24 hours a day, 7 days a week.